The children and driver who were injured in a bus crash in Greenland, New Hampshire, on Friday have been released from area hospitals, and the driver has been placed on leave. 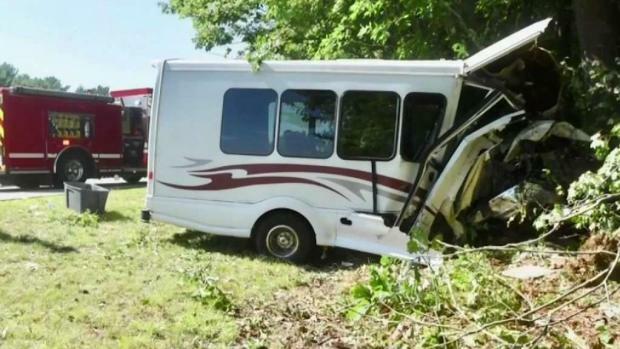 Town manager Kendra Amaral says the 21-year-old driver of the Kittery, Maine, recreation department van will be placed on leave as a matter of protocol while the town investigates the circumstances of the crash. Amaral said Sunday that everyone who was injured has been released from area hospitals, including a child who was transported to a Boston hospital with serious injuries. 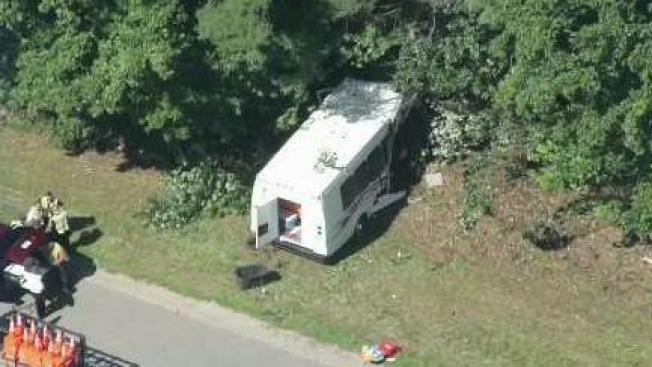 Police say the bus was carrying 11 children between the ages of 7 and 9, and two camp counselors to an adventure park when the driver suffered a medical emergency and drove off Interstate 95 and into a tree. Police have not said what the medical emergency was.